by Randy Vogt, member of the NY Metro ISOA chapter and designer of the chapter logos. John Friedrichs, past NY Metro ISOA president will be inducted into the Long Island Junior Soccer League Hall of Fame on March 5 at the Huntington Hilton in a ceremony taking place during the LIJSL Convention. The official press release from LIJSL follows. February 24, 2010-The Long Island Junior Soccer League is very pleased to announce that John Friedrichs of the Smithtown Kickers Soccer Club will be inducted into the LIJSL Hall of Fame on March 5 at the Huntington Hilton in a ceremony taking place during the LIJSL Convention. John is truly a pioneer of youth soccer on Long Island. Few people can be compared to the love and dedication John has demonstrated to the sport for six decades. John coached a travel team, the Huntington Kickers, during the late 1960s and early ‘70s. In 1973, his team was the first Long Island squad to win a State Cup championship. John formed another travel team in Huntington in 1975. A year later, wanting to play games closer to home, John moved the travel team to Smithtown under the banner of the YMCA and started the Smithtown YMCA Travel Soccer Program in 1976. The YMCA continued to add all funds generated by the Smithtown “Y” Soccer Club program to their general fund and use much of the revenue for non-soccer activities. There were many improvements that the soccer program needed that required increased funding, but the loss of revenue to other activities curtailed needed improvements. It was becoming evident that the improving group of Smithtown players would need a more soccer-driven organization to lead them into the 1980s and be their advocate for the increasingly popular sport. Soccer as a youth sport in the Town of Smithtown was expanding exponentially just as it was growing across the nation and it required dedicated leadership. So John became a founding member of the Smithtown Kickers Soccer Club and they were accepted as a club in the Long Island Junior Soccer League for the 1979 Fall Season. John served as President, Vice President and a Board member of the Smithtown Kickers for a decade. 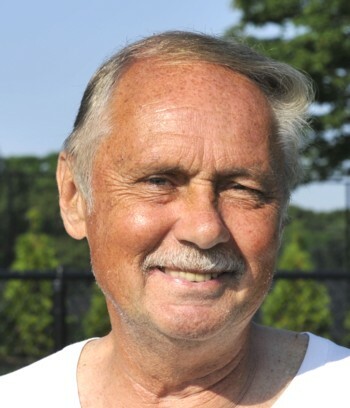 He was head coach of the Smithtown Tea Men from 1979 to 1990, winning LIJSL Sportsmanship Awards, tournament and LIJSL division titles as well as coaching the Tea Men to the 1982 State Cup final. John volunteered with the Smithtown Kickers International Tournament from 1979 to 1992 and established the Smithtown Kickers Summer Camp Scholarship. John holds a United States Soccer Federation “B” coaching license. The life member of the Long Island Soccer Football League started the LISFL’s successful Under-23 Division in 1985. As a referee, John has officiated over 5,000 games for more than four decades. He was one of the founding members of the Long Island Soccer Referee Association in 1969 and was honored as LISRA’s Referee of the Year in 1988. John also served as President of the New York Metro Intercollegiate Soccer Officials Association from 1993 to 1998. 1997 was a very good year as John was honored as both the NYMISOA Official of the Year and received the Service Award. John is very proud that soccer has grown into the most popular youth sport on Long Island. He obviously played a significant role in making that happen. This entry was posted on Thursday, February 25th, 2010 at 2:05 pm and is filed under General with keyword(s) member. You can follow any comments to this entry through the RSS 2.0 feed. Both comments and pings are currently closed. Congratulation John very well deserved. I’d like to use the photo of John on the Smithtown Kickers website (Club History Page). Is there a way I can get permission to do this? We would of course credit the source. Please contact Smithtown Kickers President Pasquale LaManna directly at 631-862-9693 for permission.